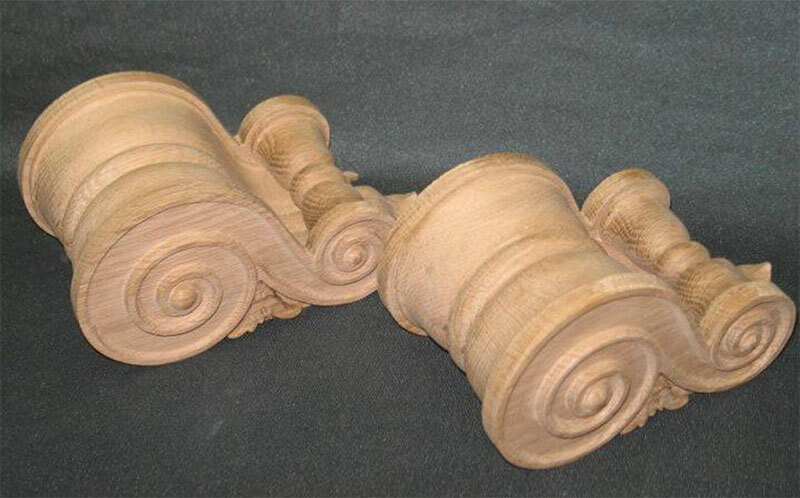 Corbels: What Are They and How Should I Use Them? A corbel is a functional and decorative architectural bracket that is used to support other structures, such as a beam, shelf or the ceiling. 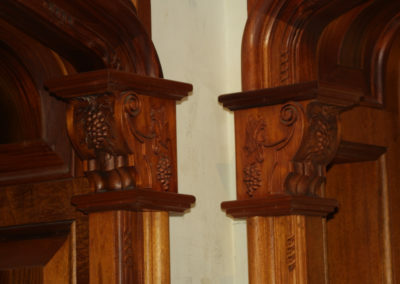 Traditionally corbels were created as a structural brace to reinforce other architectural elements in a building, but modern corbels are used just as much for their decorative appeal as they are for their functionality. 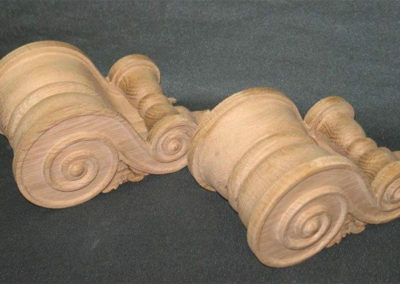 Custom carved corbels are a great way to add elegant, yet practical, touches of design throughout your home. Here are just a few ways to use corbels in your home: Kitchen Cabinets. Install corbels under each end of the kitchen cabinets (or any other cabinetry in your home).Kitchen Range Hood. Add corbels beneath the kitchen range hood to enhance the style and design of the kitchen.Kitchen Counters. 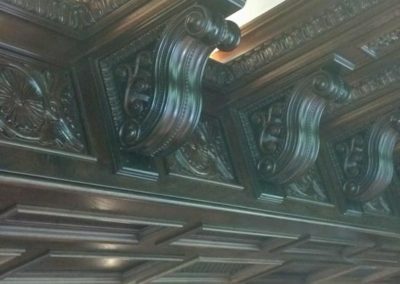 Corbels can be added beneath your kitchen counter, island or bar overhangs for support while adding beauty and detail that draws the eye. contact us today with any questions. Ceiling Beams. 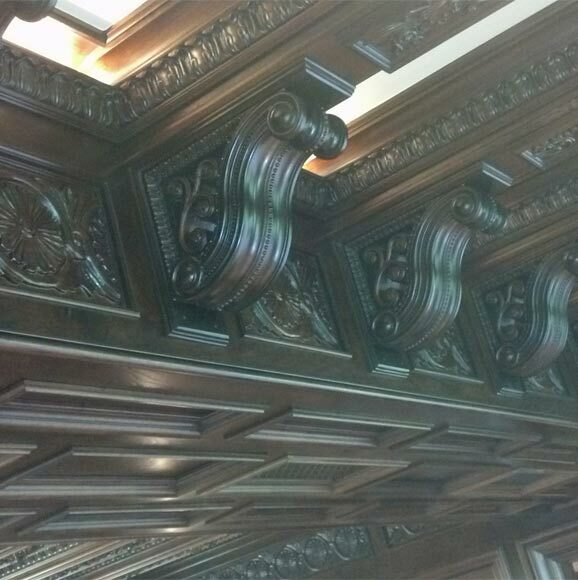 Add corbels to the ends of exposed ceiling beams to draw attention in a long hallway or open room. Fireplace. Add character to a plain fireplace by affixing corbels beneath the mantel. Shelf Brackets. Create one-of-a-kind shelving by securing custom carved wooden corbels to the wall and topping them with a wooden boards or panels. Desk Legs. A desk can be created the same way as a shelf – use extra large corbels set on or near the floor and put a glass or wooden shelf on top of them. Bookends. 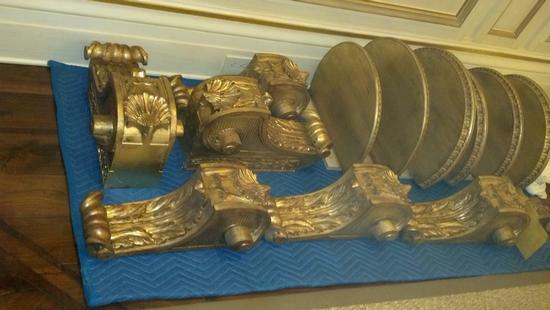 Got awsome corbels? Use them as decorative bookends in your living room or office. 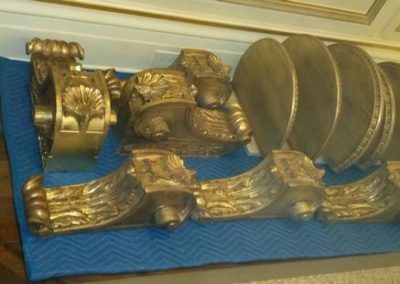 Custom carved corbels can be made in any shape, size and style, and they can be painted or stained to match any existing decor you already have. Their versatility makes them an easy go-to when decorating or remodeling your home.